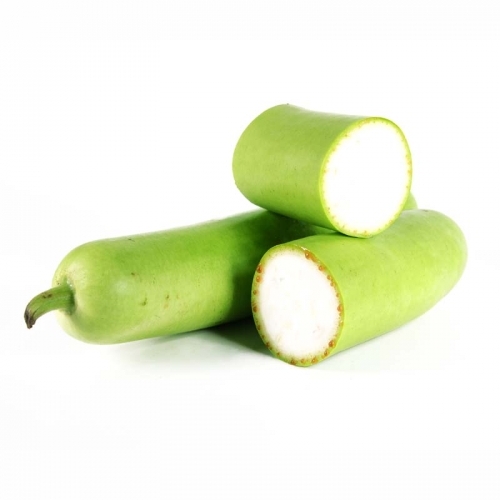 Bottle gourd also known as opo squash, long melon, white-flowered gourd, Lagenaria siceraria or lauki is one of the most important and widely cultivated popular vegetable. The vegetable is generally eaten when it is young and it is left to mature and dry so that it can be used as a bottle or pipe as them name suggest. Bottle gourd is an easily digestible vegetable and it is prescribed for elderly and ill people as it offers a range of health benefits. Let’s see some of the amazing health benefits of bottle gourd here on this page. Bottle Gourd vegetable offers nutrients, energy, protein, dietary fiber, carbohydrate, minerals and also rich in Water. It contains Minerals such as calcium, iron, magnesium, phosphorus, potassium, sodium and zinc and Vitamins including Vitamin C, Thiamine, Riboflavin, Niacin, Vitamin B6, Folate and Vitamin A. Being rich in water content, this vegetable is usually consumed during the summer season as it is effective in keeping your stomach cool and reduce the excessive body heat. Cooked lauki or bottle gourd provides better digestion. Bottle gourd or lauki supports the urinary system of our body by reducing burning sensation from high acidic urination. It also reduces the chances of urinary infection because it is alkalizing and has a diuretic effect. It is extremely popular for weight loss. As the fiber content and the minerals in the bottle gourd or lauki supports healthy digestion, bottle gourd vegetable is extremely popular for reducing high blood pressure and keeping your heart healthy. It is also known to prevent premature graying. In Ayurvedic, doctors recommend it for reducing liver inflammation. Bottle gourd has been traditionally eaten to reduce gastric ulcers. Children can develop acidity when they have indigestion. Usually, indigestion can induce the stomach to produce acid which is more than required and hence lead to acidity. This can be reduced with bottle gourd. Lauki contains 96% of water and high in fiber content, it takes care of your hunger, and will keep you feeling full. So, for weight loss bottle gourd plays major role in your diet meal. Bottle gourd is perhaps one of the first vegetables that can be introduced into your baby’s diet without any hesitation as it is easily digestible and is perhaps the least reactive of all the vegetables. Most of the bottle gourd is actually water and the rest of it contains essential vitamins and minerals. It provides required quantity of minerals and vitamins needed for the balanced diet to children, particularly infants and protect them from deficiencies. Bottle Gaurd Juice is also used for prevention of Graying Hair. People are always looking for natural ways which will stop further graying of their hair. If you consume one glass of lauki juice early in the morning it will help out to a great extent in stopping premature graying of hair. Its juice also helps to remove dandruff from your hair. For this, you have to mix equal quantity of Amla juice and Lauki juice and make a solution. Now take some quantity of this solution and gently massage it over your scalp in order to eliminate the dandruff completely. The juice of this vegetable is beneficial in improving the digestive system. By consuming the juice of lauki is very well known to treat the constipation effectively.